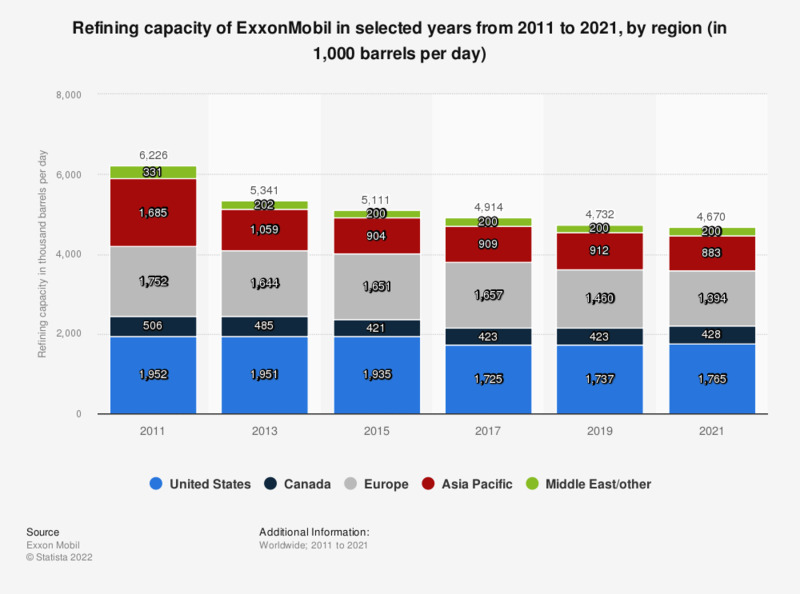 This statistic outlines the refining capacity of ExxonMobil from 2011 to 2018, sorted by region. In 2018, ExxonMobil's refining capacity in the U.S. amounted to approximately 1.73 million barrels per day. ExxonMobil is a United States-based multinational oil and gas corporation headquartered in Irving, Texas.